It’s now a book! You can set your screens down and cuddle up with your sweet little one and still land in Pillowland. The text of the book is comprised of the lyrics from the song, and it is beautifully illustrated by Camille Garoche. I think the book’s illustrations imbue the song with more cozy sleepiness. It’s perfect to add to the bedtime routine before settling in for a nap or for the night. Laurie Berkner has been delighting children and families since 1997. Her music touches on the lived experience of childhood in a world of imagination. 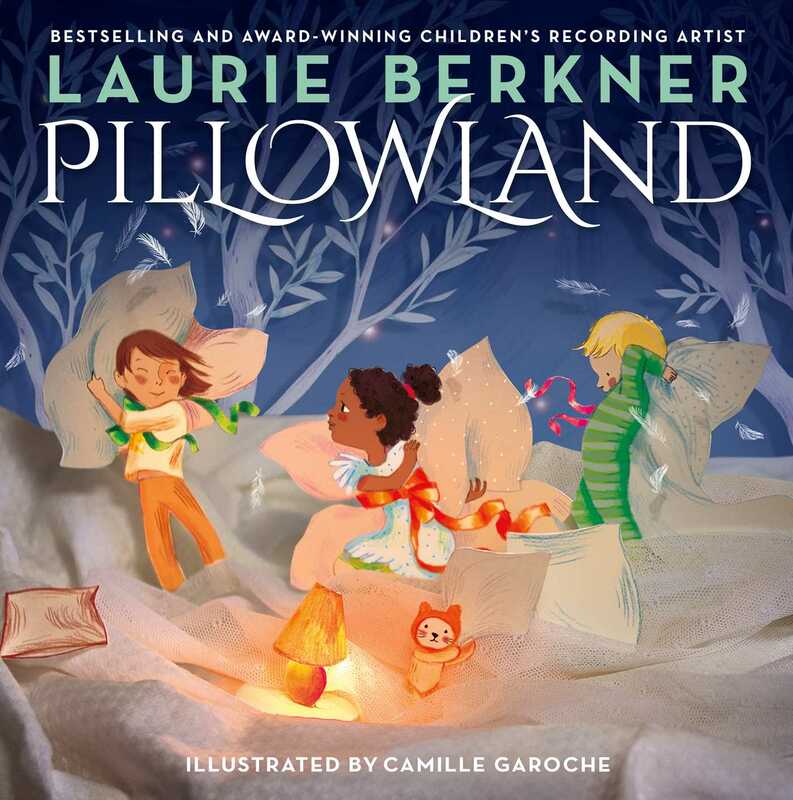 Laurie Berkner’s music is essential listening for little ones. You’re probably already familiar with several hits. Pick up this new book and add it to your bedtime routine tonight!